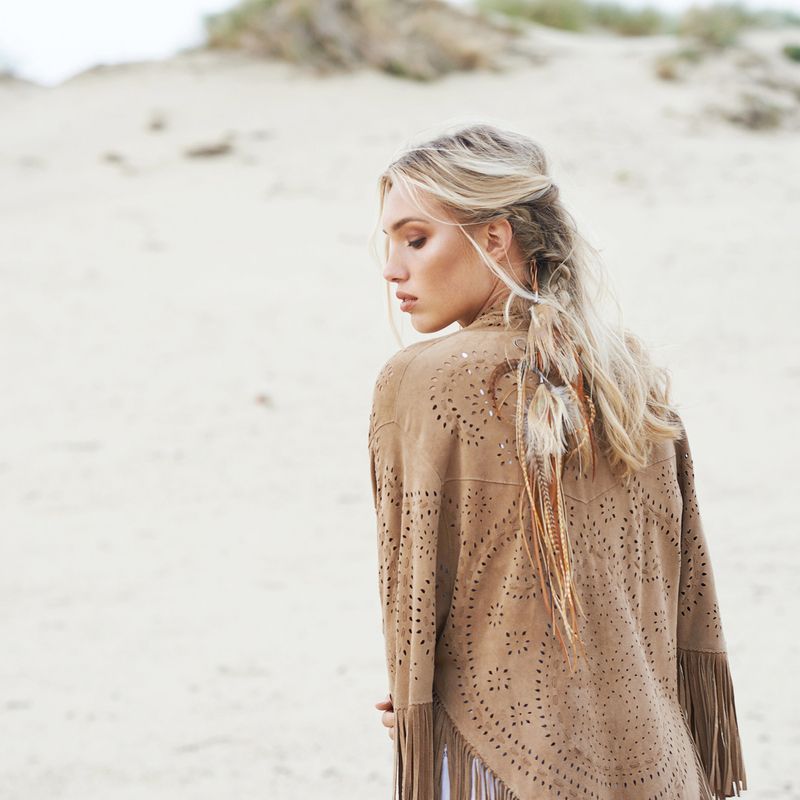 The Ema suede kimono is the ultimate bohemian statement piece, as worn by boho queen Sarah Loven! 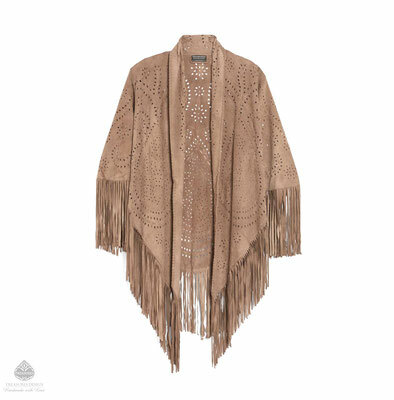 Refined and feminine, this jacket features a Folk Art-inspired embroidery design that details the entire front and back, with fringes, and handcrafted perforations. 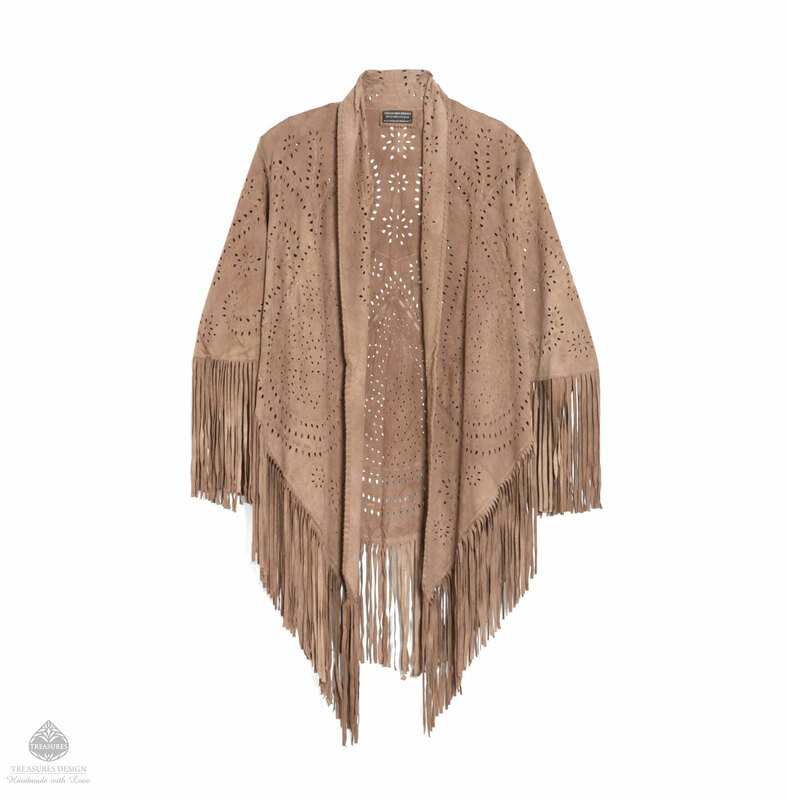 The free falling fringe hem with embroidered details makes for an effortless fluidity. - width: 150 cm / 59"